Some of the most common questions people ask about relationships and marriage revolve around how to improve their communication skills. Men and women alike want to know how they can get their partner to be a better listener who understands the importance of communication. They're desperate to know how they can get this person — their boyfriend, girlfriend, husband, wife or significant other — to pay attention, believe what they say, and take them seriously. No matter how hard you focus on choosing the right words and speaking clearly, your partner won't be able to take in your full message in the midst of emotional upset. And yes, this applies to you not being able to practice your own most effective communication and active listening skills when you're upset, as well. The good news is that by looking at your Myers-Briggs Type Indicator® (MBTI®) and Enneagram personality types, you can learn how to communicate more effectively with the person you love. Good communication skills are, without a doubt, one of the most essential components of successful relationships. Our unique personalities are made up of a variety of qualities, traits and characteristics that, combined, make up the whole of who we are as individuals, and whichever aspects of your personality are calling the shots at any given moment lead you to use more or less effective types of communication than you might under other circumstances. 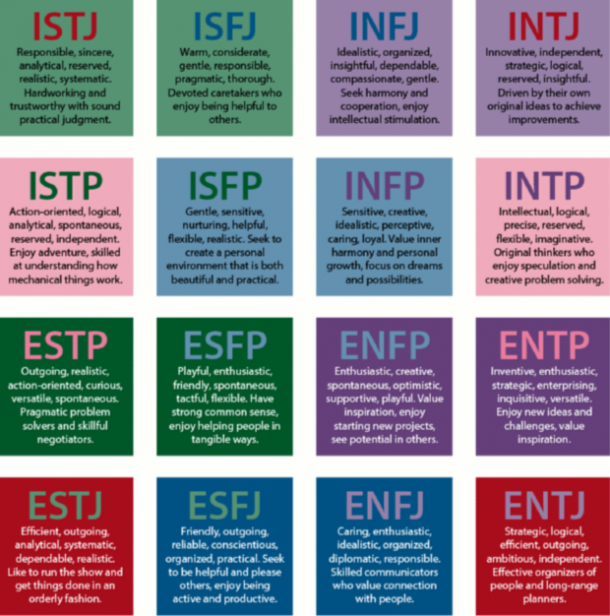 Your Myers-Briggs type describes the parts of you responsible for clear, grounded communications, while your Enneagram type describes the parts of you responsible for survival. When you take either of these two personality tests, your results are summarized by placing you into one of a set number of types. There are 16 personality types within the Myers-Briggs inventory. And there are 9 personality types within the Enneagram system of classification. Each type had its own distinct set of characteristics and traits, all of which means that no matter how well matched you and your partner may be, there's an extremely high likelihood the two of you often communicate from inherently different places. And here’s an important little secret: effective communication will never happen as long as one of you is operating from the place of your defensive Enneagram personality. Unfortunately, this is exactly what happens anytime you are in distress or conflict and experiencing feelings of disappointment, upset, anger or fear. The quality of communication between partners is one of the strongest indicators of whether relationship will be successful in the long-run, so being able to identify when you are communicating from the MBTI or Enneagram informed aspects of yourself and how each affects you will improve your capacity for connect with your partner as you work through issues and problems with one another. When you operate from the space of your Enneagram personality, your defensive structure leads the way. From this place, your only motivation is to feel “no more pain,” whether that pain is emotional, physical, spiritual, intellectual and/or energetic. You are literally fighting for your life. At this point, you are essentially willing to do whatever it takes to end the uncomfortable feelings you're having in response to whatever is currently happening. The kicker is that most of your reasoning happens far below the level of your conscious awareness. You may not even know you are upset, let alone why. Most of the time, you're more likely to see the closest person standing in front of you and suddenly — BAM! — they are the cause of all your bad feelings and the object on which you unleash them. Obviously, that's not a super rational or productive strategy when you're trying to communicate about what you want or need from your partner. When you operate from the space of your Myers-Briggs personality type, your true needs and wants are reflected. This is the space where your blueprint for satisfaction resides. One caveat here though, folks. Getting in touch with your true needs and wants doesn't necessarily mean you'll also be able to take the next step of communicating them effectively to your partner. If open and honest communication wasn't encouraged and supported during your childhood, you're likely to struggle with the same as an adult. Most people are never taught how to express our feelings, concerns and desires effectively. Instead, we're often taught to look outside of ourselves to find an external source to blame for our pain. Sticking with that model simply will not work if you want to create and sustain a healthy, loving relationship. When you approach conflicts from a place of looking to assign blame, your inner child is taking over what should be managed by the grown-up, mature and responsible you. You probably wouldn't want the 8-year-old version of you to march in and attempt to negotiate your salary. Likewise, when you're still in an emotionally charged state, it is far from an ideal time to try communicating with your partner. Without a doubt, this can be excruciatingly difficult to build awareness around. It's rarely easy to allow yourself to feel vulnerable enough to take responsibility for feeling defensive. Yet this is exactly what you need to learn how to do if you want to communicate effectively and have a healthy, long-lasting relationship. It’s not easy. And it’s not for the faint of heart. It’s like asking someone to put down their weapon while someone else is still armed and taking aim. This is, however, the only way communication will ever work. To begin making room for moments when you or your partner feel emotionally triggered, you must first learn how to recognize when you're communicating from a place that won't be effective, no matter how hard you try. Once you do, acknowledge that, and tell your partner you need take a little break. Walk away for a bit and take care of the child inside you who is currently in distress. Comfort and soothe yourself. Support your own feelings, wants and needs by focusing on yourself — which, again, is likely to feel counterintuitive. For some, this may be so counterintuitive to all you’ve previously learned that you might need outside help from a therapist or counselor. And that's perfectly, OK. It’s hard to see the forest for the trees. With this kind of increased awareness, you generate a greater capacity to head problems in your relationship off at that the pass. You freeze the defensive cycle and decrease the chances of taking yourself and your partner down an emotional rabbit hole. Taking that breath before opening your mouth or acting gives you the time and space in which you can choose how to respond, as opposed to jumping too far or too fast from a place of impulsive reactivity. 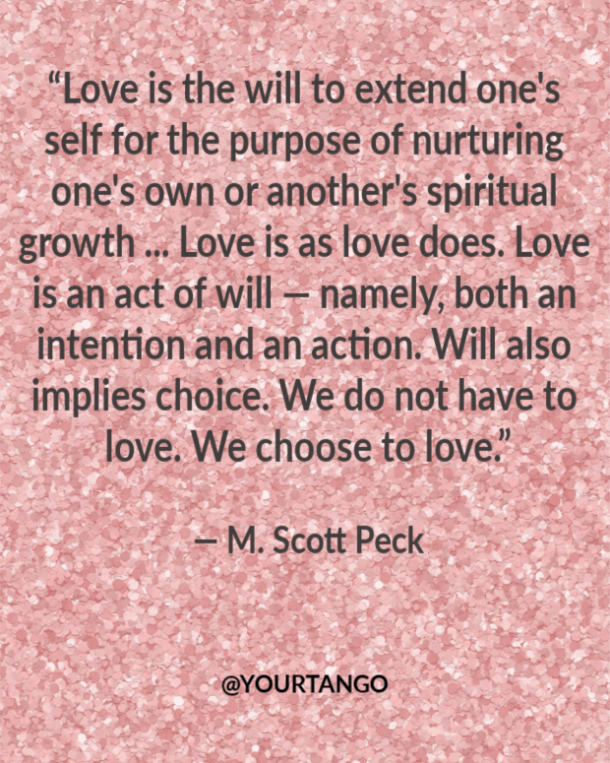 Psychiatrist M. Scott Peck, author of The Road Less Traveled, wrote of love as both intention and action. When you make an effort to explore yourself and all of your unfinished places, you are extending love to both yourself and those you are in relationship with. The most effective way to communicate with your partner is with an open heart from a place of vulnerability. You might need to heal a bit inside and learn new ways of emotionally existing with discomfort and effectively self-regulating before you can sustain the kind of open-heartedness needed for effective communication. Kate Schroeder is a psychotherapist and coach who utilizes the Myers-Briggs Type Indicator® (MBTI®) and the Enneagram, as well as body-mind-spirit healing practices, to help men and women create a life filled with satisfaction. Learn how to communicate more effectively in your relationship by downloading her guided imagery program, Soul Meditations: Building A Relationship That Lasts, or joining her Visual Journaling Group on Facebook.